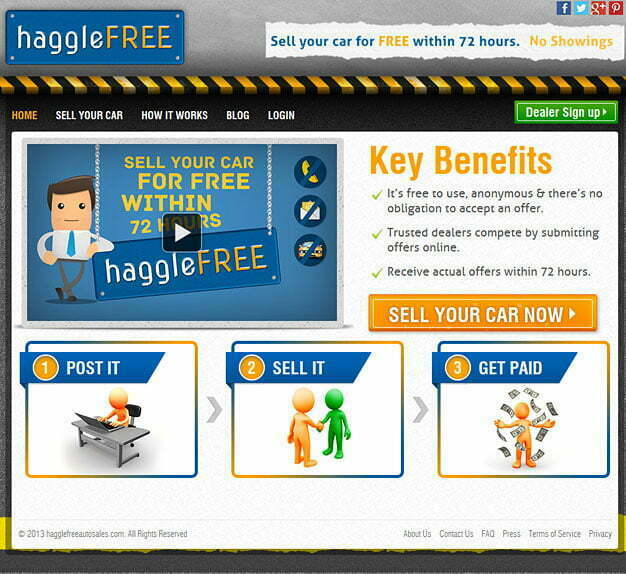 Pulse was able to design a custom web site to meet all of these needs for Haggle Free Auto Sales. PHP was the platform that Pulse worked with that provided the needed mobile accessibility and high usability that was required. MySQL technology was effectively used to present an eye-appealing design with attractive colouring and textures with a sharp, clear look. This was also the backbone for the easy navigational features that were built in too. PHP and MySQL have worked well together to give the fast and uncomplicated solutions that Haggle Free Auto Sales was looking for. They have been very pleased with the results. Pulse was able to incorporate fast service and delivery features to help the company’s clients to truly have a ‘haggle free’ experience on the site.